Alcohol abuse leads to severe deterioration in one’s physical, mental, and emotional health. However, it is possible to be free from alcohol addiction. Wisconsin residents can access the help needed to overcome this addiction by dialing these alcohol recovery hotlines. Delphi Health Groupр helplines connect callers with the trained professionals. In case one needs information and treatment advice for alcohol addiction, the phone call at (866)-520-2708 might be the best option. Calls to this 24-hour alcohol hotline are free and confidential, and services offered are covered by insurance. 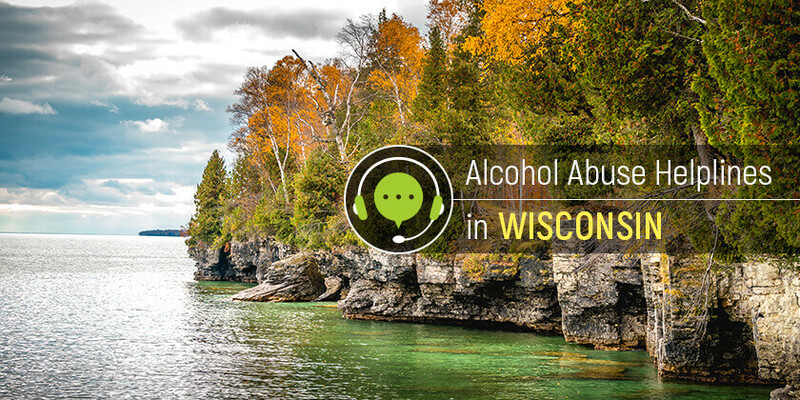 Dial the alcohol hotline to speak with an agent and access alcohol treatment services available in Wisconsin. Call 2-1-1 or 833-944-4673 to connect with available alcohol treatment and support services in the state. Wisconsin Addiction Recovery Helpline is sponsored by the Wisconsin Department of Health Services and funded by a grant provided by the Substance Abuse and Mental Health Administration. This alcohol helpline is a free, confidential resource available across the state to help callers understand available treatment options and connect them with the right addiction professional and program in the state. If someone needs help with alcohol addiction, one of the best ways to get free counseling is to call 1-800-662-HELP (4357) and speak with a SAMHSA medical professional in English or Spanish. Representatives also refer to approved programs and facilities in the state, when necessary. Wisconsin residents struggling with alcohol addiction can achieve recovery by getting connected to the appropriate resources and treatment services.